Several years ago, a long-time friend of mine, Kathleen and I decided to start taking Girls Trips together each September, after we drop our kids off at their c ollege(s). We’ve been friends for 22+ years. Our husbands worked together, we both had our last babies at the same time – would sit on the phone for hours and talk about Oprah’s latest topics – our latest explorations into whatever fad/topic of the day from Andrew Weil’s holistic medicine approach to whatever Psychobabble Guru of the Day was selling and would delve into our wounded inner-child(ren) at length… We have one of those easy friendships that just picks up quite easily no matter how much time has passed. A real gift and blessing. 2 years ago, another oil field wife and also a long-time friend, Stephanie joined us for a trip to England, as her baby girl went off to Baylor and the trip was a great distraction from her trepidation over the milestone. We skipped last year for financial reasons on my part. Mark and I had put in a pool, cabana and backyard flower beds in our blank canvass of a backyard and needless to say it dried up any available funds for travel. 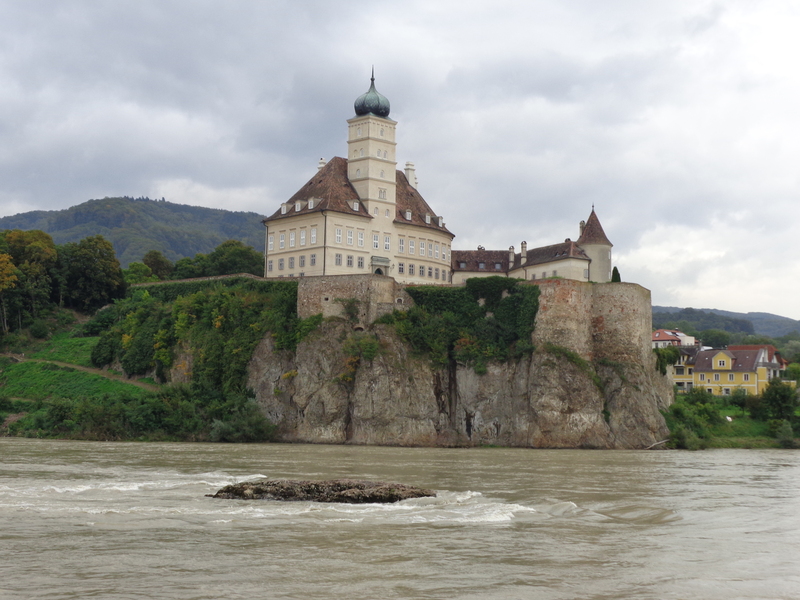 This year, we went on a Viking River Cruise through Central Europe – the name of the cruise was “Romantic Danube”. It wouldn’t have been my first pick but my friend Kathleen, a gypsy-free-spirit has travelled the globe, and this area was new to her. After it was all said and done, I highly suggest going on a Viking River Cruise. You get spoiled, pampered and spoon-fed your vacation and the history of the places you visit. It is intimate with 150 or so guests. The food is great and when you aren’t touring a castle, church or hamlet, you enjoy literally watching the beautiful world go by as the boat putters to your next destination. 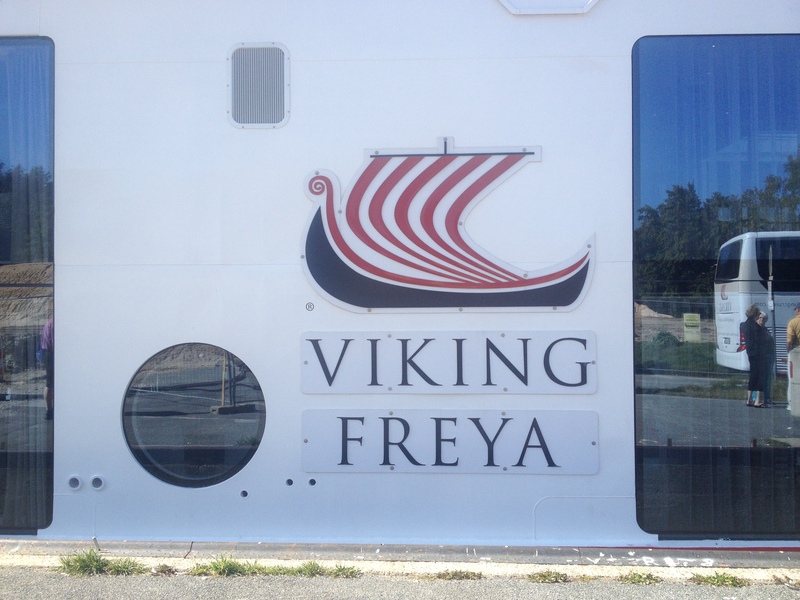 Viking plans to expand to even the Mississippi River and when they do, I’m going to book for sure. We went through 42 locks going down the Danube. According to Wikipedia, A lock is a device for raising and lowering boats between stretches of water of different levels on river and canal waterways. Most of the locks we went through I slept right through, but passengers spoke of the loud noises they made. Pretty extrodinary to experience, but I would maybe inquire how many locks you would have to endure for whatever cruise destination you are considering if they are a bother and keep you up. I was dreading the trip because I don’t like having to fly cooped up in a small space for so long. I was miserable on our flight to England two years ago and had planned to knock myself out with sleep meds. Kathleen reminded me that I’m in the car for hours when I drive home, what’s the difference. She had a good point there, but… Well, we got to the Houston airport early to see if we could upgrade to Business class at a discounted price. It was still pricey, but so worth it! We could get pampered even in the airline’s private Lounge at the airport and on the plane we were able to stretched out and just relax for the 10 hour flight. In hindsight, I probably shouldn’t have upgraded, because I don’t ever want to fly economy again!